In November 2014, the National Assembly’s Health and Social Care Committee looked into the use of new psychoactive substances (NPS). One of the things that came up during that work was a need to investigate the effects of alcohol and substance misuse separately from NPS. whether the right local services exist across Wales to help people, and make sure they know about possible harms. The Committee used a number of different ways to ask people what they thought about alcohol and substance misuse, including asking people to write letters and inviting responses to a survey. Meetings were also held, where representatives from specific organisations could talk to Assembly Members. These organisations included: Alcohol Concern Cymru, Association of Chief Police Officers, Drugaid Cymru, Gwent Police, NHS representatives, NUS Wales, Public Health Wales, Royal College of General Practitioners, Royal College of Psychiatrists, the Wallich, Her Majesty’s Inspectorate of Prisons, and the Welsh Government's Deputy Minister for Health. The Committee also set up two reference groups with the help of New Link Wales. These groups were made up of service users and providers from all over Wales. Assembly Members met with these reference groups before and after they spoke to the organisations listed above. Participants gave their views through the reference group, which helped the Committee make sure that they can take into account how alcohol and substance misuse affects real people in Wales on a daily basis. The Committee has now published the full report on its findings. This is a summarised version of that report. The Welsh Government’s approach to dealing with problem drug and alcohol misuse is set out in the ‘Working Together to Reduce Harm’ strategy document for 2008 to 2018. People who gave evidence to the inquiry said they were generally supportive of this strategy, but that they had concerns about inconsistent implementation, among other things. What the Committee said in its report: the Committee asked the Deputy Minister for Health to show how the Welsh Government’s next Delivery Plan had taken notice of the Committee’s report and recommendations. The Committee heard that more and more people, especially young people, are using steroids and other image enhancing drugs. What the Committee said in its report: it recommended that the Deputy Minister for Health set out steps for tackling the misuse of steroids and other image enhancing drugs in the Welsh Government’s next Delivery Plan for 2016 – 2018. Lots of people told the Committee that when medication is over-prescribed, some people can become dependent on it, while others may illegally sell-on medication they don’t need. Addiction to prescribed medicines amongst older people is a particular concern. What the Committee said in its report: it recommended that the Welsh Government should carry out a review of guidelines for GPs and pharmacists to reduce the potential for over-prescribing by doctors, to improve patient monitoring and to make sure there are exit plans for patients who have been prescribed medication to overcome addiction. Lots of people who spoke to the Committee said that some GPs lack expertise in recognising and treating people experiencing alcohol and substance misuse issues. Another problem was that some GPs have negative attitudes and are prejudiced against alcohol and substance misuse patients. Some people also face barriers to accessing GP services, including long waiting times and having to book appointments early in the morning, which can be difficult for people with unsettled lifestyles or mental health problems. "I certainly feel, from my own view, as somebody who has had a life that’s touched by alcohol and substance misuse, I know that it is a taboo subject. Historically, amongst GPs and doctors it’s still regarded as something over which you may express a prejudice and I’ve seen that for myself. work with providers to ensure more training for GPs, including tackling prejudice and negative attitudes, and improving diagnosis; and ensure that treatment services are made more accessible to people suffering from alcohol and substance misuse issues. People praised Public Health Wales’ alcohol brief intervention (“ABI”) approach, which involves holding structured conversations with people who are at risk of drinking too much, to help motivate them to think differently about their drinking. However, the Committee also heard that the Welsh Government’s approach to promoting and monitoring the effectiveness of ABI training could be improved. What the Committee said in its report: it recommended that the alcohol brief intervention programme should be reviewed to ensure a better approach to promoting and monitoring the effectiveness of the training. The ‘Supporting People Programme’ of housing-related support is designed to help people live as independently as possible, but may be cut. 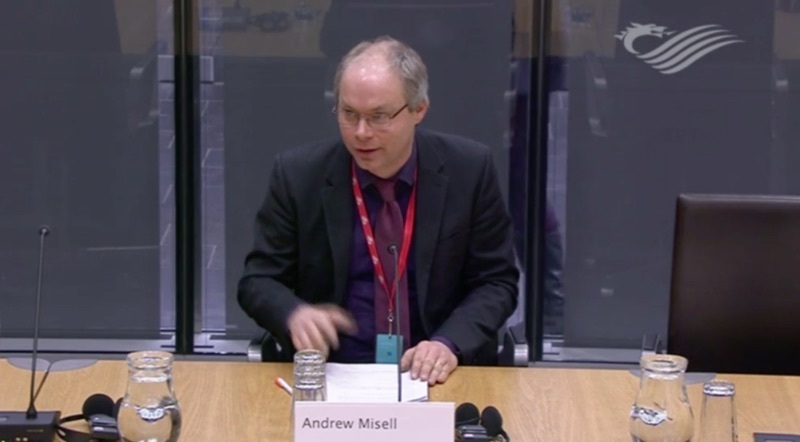 The Deputy Minister told the Committee that the cuts to the programme were the result of the difficult choices the Welsh Government has to make about funding. What the Committee said in its report: it recommended the Welsh Government evaluates the outcomes of the ‘Supporting People Programme’ to find out how it has supported people with alcohol and substance misuse issues. The Committee also called on Ministers to look at alternative and innovative ways of delivering sustainable residential treatment facilities. 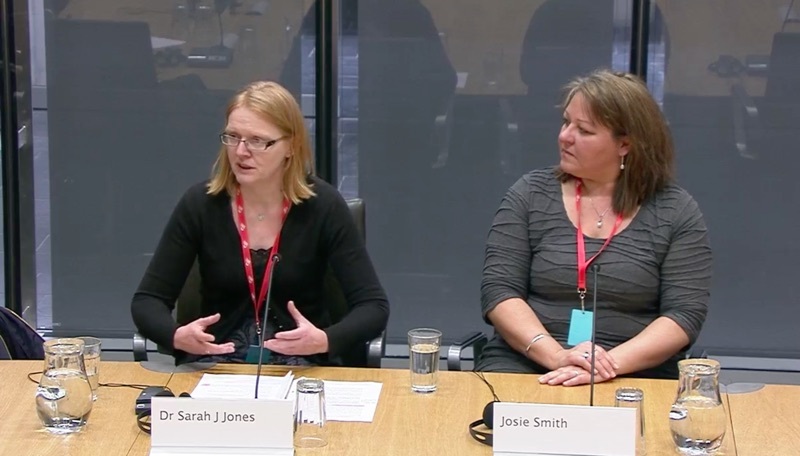 People told the Committee that there needs to be more leadership by the Welsh Government on education and awareness so public health messages are strengthened and improved. People also said that public health messages delivered in schools on drugs and alcohol need to be more consistent across Wales. What the Committee said in its report: the Committee recommended that the Deputy Minister for Health work with Public Health Wales, health boards, and other bodies to look at how the Welsh Government can lead on raising awareness of the harms associated with alcohol and substance misuse. The Committee also called for innovative approaches to educating children and young people about the harms of alcohol and substance misuse in a consistent way across Wales. The Committee heard that alcohol related brain damage (ARBD) is becoming more common, but a lack of data on the extent of the problem makes it difficult to plan services. What the Committee said in its report: it recommended that the next Delivery Plan for 2016-2018 reflects the need to establish the extent of, and take action to address, alcohol-related brain damage. Witnesses told the Committee that excessive use of alcohol is a risk factor for common forms of dementia, such as vascular dementia and Alzheimer's disease. Local Health Boards and organisations like the Royal College of GPs said there were difficulties in accessing dementia funding for people whose dementia is caused by alcohol, meaning these sufferers might not being recognised. What the Committee said in its report: it recommended that the Welsh Government reviews the treatment pathways available for people suffering from dementia caused by alcohol misuse, making sure they are correctly diagnosed and have access to the full range of services available. The Committee also asked the Government to detail its response to the review in the next Delivery Plan for 2016-2018 . People also told the Committee that there are specific groups within society that have particular needs in terms of alcohol and substance misuse. These groups include older people, homeless people, and prisoners. Increasing numbers of older people are drinking higher levels of alcohol at home and the median age for alcohol referrals is now 41, compared with 31 for other drugs. People told the Committee that a high proportion of homeless people have alcohol or drug problems and some may also have physical or mental health problems. Many homeless people are unable to take full advantage of the treatment options available to them because of their unsettled lifestyles. Prisoners who have alcohol and substance misuse issues may not be receiving the aftercare they need on release from prison, and also may be forced to resettle in accommodation that could make the issues they face even worse. What the Committee said in its report: specifically referring to older people, the Committee heard that the Advisory Panel on Substance Misuse will be looking into policy interventions for tackling substance misuse in an ageing population. The Committee also recommended that the particular needs of homeless people are reflected in the next Delivery Plan for 2016-2018. 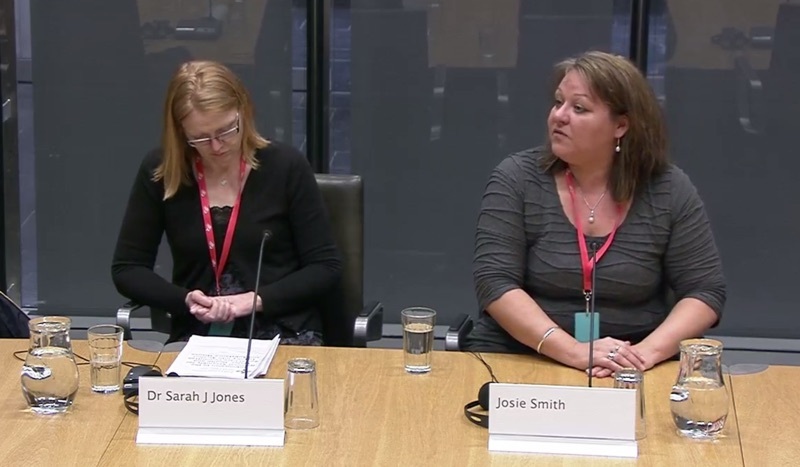 With regards to prisoners, the Committee recommended that the aftercare provided by support services is reviewed, and that the Welsh Government works with the UK Government and other bodies where necessary to ensure there is access to appropriate accommodation and treatment. A number of people raised concerns about the term “alcohol unit.” They said that, even though alcohol units are widely used, they are not readily understood. They suggested other ways to label alcohol products, such as stating nutritional information and calorie content. What the Committee said in its report: the Committee recommended the effectiveness of alcohol unit labelling should be investigated, and that the Welsh Government works with stakeholders to identify what other information could be included on alcohol products. Lots of people voiced concern that alcohol is available in increasing numbers of shops, and is also getting cheaper. They called for restrictions on who is licensed to sell alcohol, the price it can be sold for, and the hours during which people can sell it. 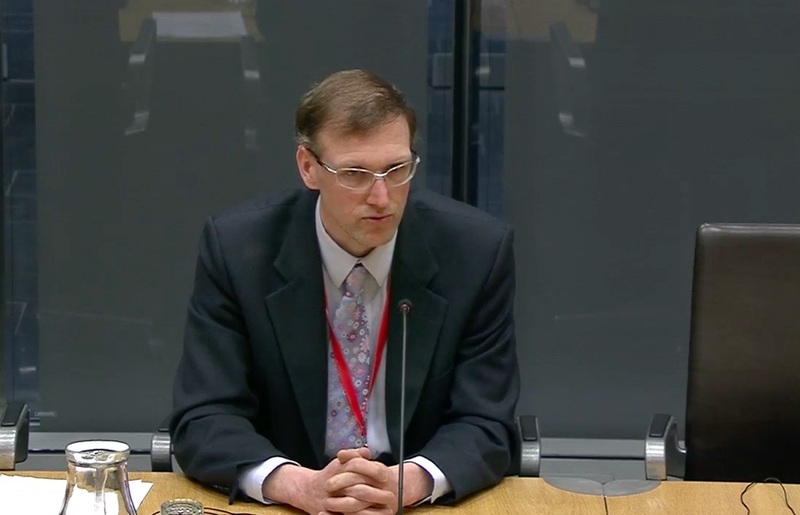 What the Committee said in its report: the Committee said that it was unclear whether the National Assembly for Wales has the powers to change the law in the areas called for by many of people who gave evidence. So the Committee recommended that the Welsh Government works with the UK Government to ensure that the Wales Bill provides the Assembly with an appropriate set of powers to deal with alcohol misuse. For information: the Wales Bill is a proposed law to be considered by Parliament in 2016, which will include new powers for the Assembly and the Welsh Government . What will the Committee do next? The Welsh Government usually responds to a Committee report six working weeks after its publication. So for this report, the Committee should expect to receive a response in September 2015. The Committee may ask for the topic to be debated by all Assembly Members in a Plenary session in the Senedd, in Cardiff Bay. Members will be able to highlight the issues that matter to them and hear from the Deputy Minister about what steps will be taken to deliver the Committee’s 21 recommendations. “Alcohol and substance misuse can have devastating effects on individuals, their families and their communities. “Our recommendations include calling for more leadership from the Welsh Government at a strategic level to help raise awareness of the harms associated with alcohol and misuse, and for the needs of particular groups including older people, homeless people and people on release from prison to be specifically addressed in the next Delivery Plan. “We are also recommending that action is taken to improve training for GPs in order to remove some of the barriers to accessing services that we heard about during the inquiry. Photographs: Thomas Hawk on Flickr; Walt Jabsco on Flickr; Thomas Page on Flickr; Benjamin Staudinger on Flickr; Angelo Amboldi on Flickr; and National Assembly for Wales on Flickr, all Creative Commons.